WARNING: Not available for direct purchase on webstore, email to enquire. 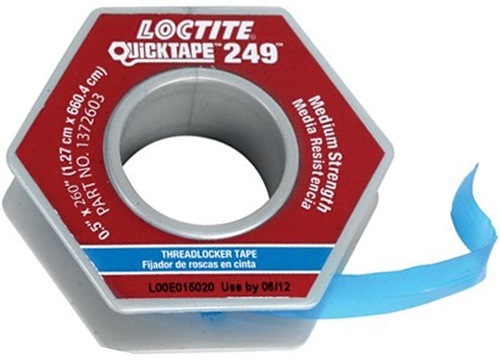 LOCTITE® 249™ Anaerobic Blue Threadlocker Tape, the first threadlocker in tape form. 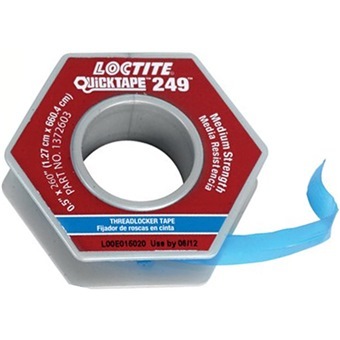 This medium strength, general purpose threadlocker adhesive is designed for the locking and sealing of threaded fasteners which require normal disassembly with standard hand tools.